People Helping People Global Blog: Do you like “raspado”? Raspado/Shaved ice is a dessert that got its name from the Spanish word “raspar” which means “to scrape”. In Nicaragua it is sold by street vendors who move around the city with their carts carrying a block of ice. They use an iron brush to scrape the ice and then they add flavored syrup preferred by a client – for example sweetened condensed milk. I know it is still winter in U.S. but here in Nicaragua we are dealing with incredibly warm weather. Raspado is the most refreshing thing you can get in Nicaragua that makes the heat little bit more bearable so let’s visit one of our clients who sells raspado! Lesbia Guadalupe Rivas Morales, age 52, lives in Pantanal, Granada. She was one of PHPG´s first clients. She recently cancelled her third loan and is going throw an application process to get a new one. She wants to use the money to get her cart painted again because it starts to look old. She herself can’t go to sell raspado, but she sends her adult kids. Selling raspado is their only family income. They have to keep walking with their cart around Granada whole day because Lesbia doesn’t have money to pay a fee for staying at one place - for example at the center of Granada where she could possibly sell more. 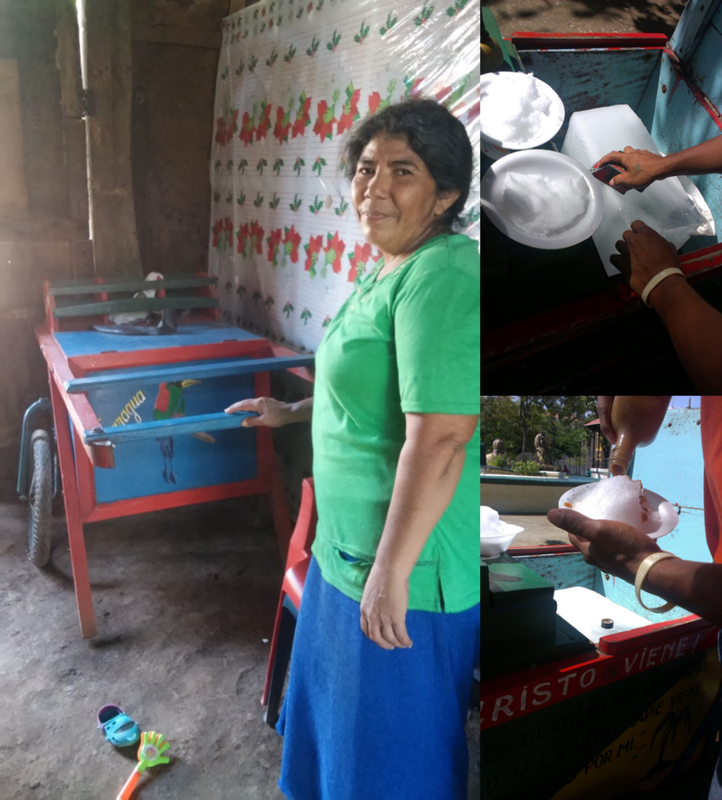 Although Lesbia admits it is very hard to make enough money to support her whole family, she is at the same time grateful for being part of PHPG´s microlending program. She says that it has been a great help and without it she can’t even imagine her life.